1. What book got you into reading? That…is a really good question. I think it might be Tuck Everlasting by Natalie Babbitt, which I read in fourth grade along with my class. When your that age, there is NOT a lot of school reading material that you enjoy, so the fact that I was way into this story when it was assigned by my teacher must tell you something. 2. Who are your top 3 auto-buy authors? Usually when I see books by Laurie Halse Anderson, Lauren Oliver, Alyson Noel, Meg Cabot, Sarah Dessen, or Elizabeth Chandler I automatically read the description. I know that I have always liked what these woman write about and their style of writing. Two new authors that I think are always going to be on my radar now are Evan Ronan and Robert Pence. Granted, Evan Ronan was the first author to send me a book for review, so I may be biased, but he has a fantastic way of making borderline psychotic events feel comforting and exciting. Robert Pence has EXTREMELY unique ideas for his books and his characters and writing are so memorable. 3. What book are you most excited for to be released? There are more books that are already released that I am excited to get, but I have been seeing Everything, Everything by Nicola Yoon around EVERYWHERE and have been wanting to read it. I love snarky and sarcastic characters, I think they have the most personality compared to a character who says the same things as everyone else. My favorite series for SO LONG has been the 1-800-Where-Are-You series by Meg Cabot. The main character, Jessica Mastriani, is stubborn and feisty in the entire series. I also loved Morpheus from the Splintered series by A.G. Howard, and of course Jace from The Mortal Instruments series by Cassandra Clare. 5. Do you prefer paperback or hardcover? Well I mean paperback is cheaper 🙂 I used to always want hardcover books because they stay nice for longer, but being such an avid reader (and having to adult) you learn to go the cheaper route. 6. Would you rather read a standalone or a series? I think this definitely depends on the book. There have been plenty of books that I have read where I am left wondering WHY there isn’t a second or third, but there have been so many that only needed the one. I guess I prefer a series so that I can continue enjoying the characters and plot. 7. If you could have dinner with your favorite author, who would it be? Probably J.K. Rowling because she made my childhood amazing. 8. How do you like to read? Physical or eReader? Physical is what I prefer, but for book reviewing you need to be an eReader. I mean there are definite pros to being an ereader like the books being there instantly, better for reading at night, and all your books are right there. But nothing beats an actual book in your hands, it’s just comforting. 9. If you could live in any fictional world, where would you choose? 10. And lastly just for fun, what is your favorite TV show? 1. What is your favorite book turned into a movie? 3. What is your favorite book series? 4. What character do you connect with the most? 5. Do you use a bookmark or do you bend the corner of the page? 6. What genre of book would you like to live in? 7. Do you prefer to buy your books online or at an actual bookstore? 8. Where is your favorite place to read? 9. What author has the best style of writing for you? 10. What are your other hobbies or interests? 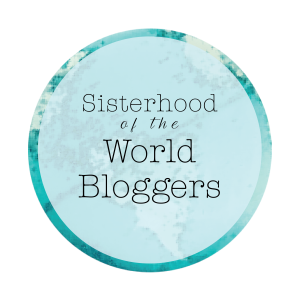 Previous Post The Beautiful Blogger and Blogger Recognition Awards! Next Post NEW BOOK ALERT!! Oh man Tuck Everlasting!! ❤️ I read it in 6th grade as a class and we had a big project at the end of it which turned out to be so much fun. I loved the book too. Have you seen the movie? Thanks again for nominating my blog. One question… how do you vote on your favorite nominee? Hi Jen, Thanks for liking my review of The Greenhouse by Audur Ava Olafsdottir. Great to know another lover of the biblio.